Four transmissions have been detected by an Australian ship from what is believed to be the plane’s black box. THE AUSTRALIAN HEADING he search for missing Malaysia Airlines Flight MH370 said Wednesday he hoped wreckage from the plane would now be found within days. “Hopefully with lots of transmissions we’ll have a tight, small area and hopefully in a matter of days we’ll be able to find something on the bottom that might confirm that this is the last resting place of MH370,” Angus Houston told reporters. So far four transmissions have been detected by the Australian ship Ocean Shield, which is using US Navy equipment to try to pick up signals emitted by the plane’s black box recorders. “I believe we are searching in the right area,” Houston said, after revealing that expert analysis of the first two signals indicated they were consistent which those from flight data recorders. I’m not going to confirm anything until someone lays eyes on the wreckage. “We need to make hay while the sun shines. We need all the data we can,” he said, in reference to the weakening black box battery. Email “MH370 searchers hopeful of finding wreckage within 'days'”. 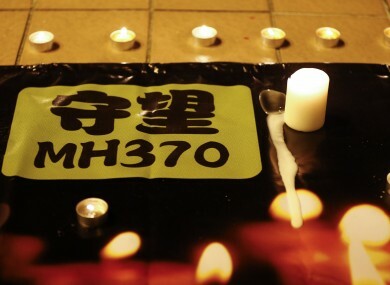 Feedback on “MH370 searchers hopeful of finding wreckage within 'days'”.